About a year ago, one of the employees at my work was attacked by a dog as he approached the front door to notify the owner that we would be working on the power pole in the rear yard. Fortunately our employee got away without injury, but the incident made it clear that we needed to have training to avoid dog attacks. Surprisingly it was rather difficult to find someone to train our people – lots of dog trainers out there, but very few people trainers. Last week we finally had the training, and the company that did it was spectacular. What an excellent class! Bulli-Ray was the company that did our training (www.bulliray.com), but I would like to stress that this company does not train dogs! They are an occupational dog bite safety trainer only. Mitzi did an excellent job of explaining why dogs attack, including why they are more likely to attack when the owner is present, how to convince a dog not to attack in the first place, and what to do if the dog does attack. Disclaimer: I’d like to point out that each dog is different; each has its own personality, fears, strengths, weaknesses, temperament, pain threshold, etc. So what I’m saying below holds for dogs in general – there will always be exceptions to the rule. Don’t shoot me for blanket statements, okay? One of the things that surprised me – until I really thought about it and related it to past experience – was the reason that dogs are more likely to attack if the owner is around. Like most people in the class, I thought it was because the dog is being more protective. But that’s not it at all. Okay, it might have something to do with it, because my beloved Mulder would have taken down anyone who looked at me funny. The main reason, though, stems from dogs being pack animals, and their humans are part of their pack. Unless cornered or under special circumstances, dogs usually try to avoid a fight they can’t win (see disclaimer above). If they are outnumbered, they tend to back down. But if the owner is present, the dog has just doubled the size of its fighting force – you’re his backup! Mitzi explained this concept by using a great example. Let’s say you’re a San Jose Sharks fan and you’re sitting in a bar watching a hockey game between the Sharks and the Boston Bruins. You’re the only Sharks fan sitting amongst a pack of raging Bruins fans. Will you be outspoken? Cheer your team on? Yell at the referee? Probably not. But how will your attitude change if 30 Sharks fans come into the bar and join you? After the training was done, I remembered something that happened in my family a few years ago. Tom and Alicea were living with me at the time, and they got a new puppy. Cooper is a small dog, topping the scales at around 15 pounds. When they would take him for a walk, he was skittish, afraid of everything and everyone. A car passing on the road would send him diving into the bushes. Then one day their walk coincided with my taking Mulder out. 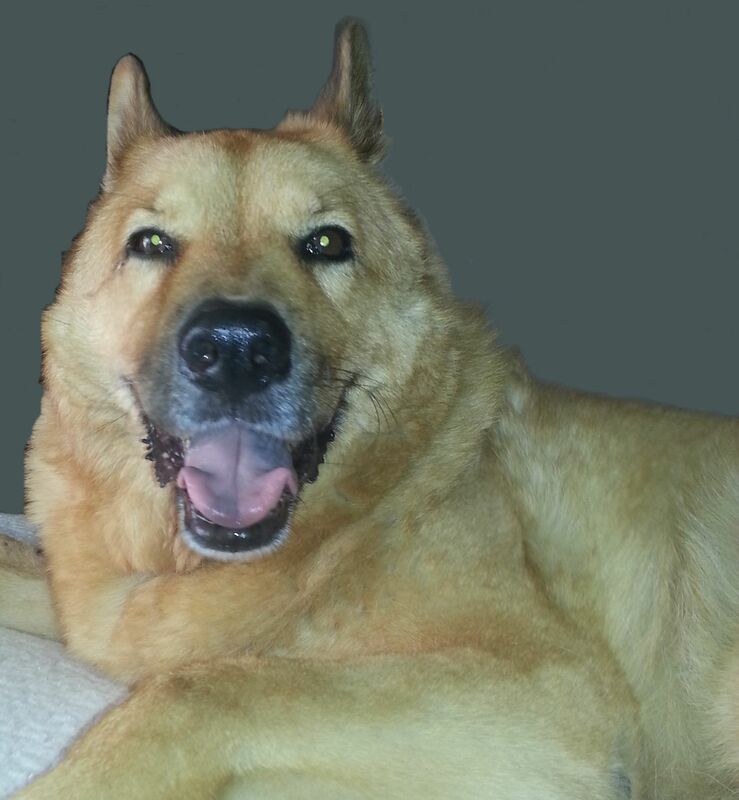 Mulder was a chow/shep mix, a very dominant alpha male. Little Cooper fell into step beside him and seemed to prance the whole way. 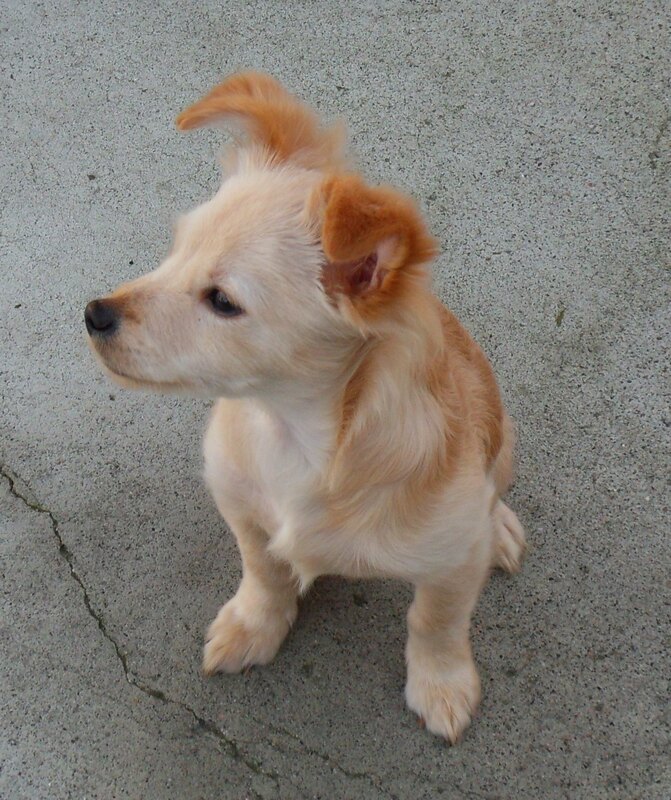 His tail was up, his head was up, and he looked like the grand dog he has since become. He was with his pack, and he knew that he had nothing to fear with Mulder by his side. Heck, I knew that I had nothing to fear with him protecting me. I can honestly say that this class was one of the best I’ve ever taken. I learned more in those two hours that will affect my entire life than courses that take months to complete. Thank you Bulli Ray!